Hurricanes are the most powerful, destructive and dangerous storms on Earth. Depending on their strength, hurricanes can be divided into 5 categories –the weakest is category 1 and the most destructive and powerful is category 5 that often takes victims. While in North America, South America, Europe and Africa these tropical cyclones are known as “hurricanes”, in other parts of the world they bring other names. For example, in the far east of Asia are called “typhoons” and in Australia are known just as “cyclones”. Despite different names, however, we talk about the same disaster in all these cases. Hurricanes form in tropical regions of our planet. Cyclones usually move north west in the Northern Hemisphere and south west in the Southern Hemisphere. However, it is difficult to determine precisely the hurricane route, since these storms sometimes change dramatically their direction. Rotation of the hurricane is counter-clockwise in the Northern Hemisphere and clockwise in the Southern Hemisphere. Their intensity varies depending on the season and depending on the part of the world the hurricane occurs. For example, many hurricanes form in the tropical Atlantic. Most vulnerable to that natural disaster is the Caribbean, the coastal areas of the Gulf of Mexico and the South eastern United States. After the U.S. and the Caribbean most affected are the countries of South east and East Asia – Philippines, China, Japan and Taiwan. Hurricanes in the Southern Hemisphere are not fewer than tropical storms in the Northern Hemisphere. However, this fact is less known because south of the equator has a much lower population density and therefore less of these storms attract the people’s attention around the world. This is not surprising given that most part of Earth’s land is north of the equator. Most affected by tropical storms in the southern hemisphere is Australia, especially Queensland, far north of Northern Territory and the northern parts of Western Australia. A general feature of hurricanes is that they occur during the warmer summer months. In the Northern Hemisphere hurricane season lasts from April to November and in the Southern Hemisphere – from October to May. A typical feature is also that in the second half of summer and early autumn the frequency of tropical storms increases significantly. In late summer and early fall had occurred some of the most devastating storms in human history. Under what conditions do hurricanes form? Hurricanes usually form over well-heated water surface. The danger increases when the temperature of seawater reach 30°C. Tropical storms derive their energy from warm ocean waters and in this way accumulate incredible strength. While they are over heated ocean surface, they have the potential to become more and more powerful. Usually, reaching the continental coast hurricanes begin to lose quickly their power and soon dissipate. However, this does not sound reassuring, having on mind that coastal areas meet the entire strength of the powerful tropical cyclones. Sometimes hurricanes form too far from the shore and never reach mainland coast. For example, many typhoons and cyclones in the Pacific disappear simply because they entered an area with significantly cooler waters that rapidly weaken them. Hurricanes cause most serious damages and take most victims when they reach land. In vulnerable to tropical storms regions in developed countries around the world the buildings are constructed of reinforced structures because to withstand the strength of hurricanes. People in these regions usually use special techniques to reduce damage to a minimum. Hurricane usually brings many dangers and strong winds are not the only problem. During a tropical storm there is a real danger of serious increase of ocean waters under the pressure of strong winds. Hurricanes often lead to devastating floodings, particularly in low altitude areas. For example, in the south western Pacific there are numerous coral islands that rise less than a meter above the ocean surface. For many of them there is a real danger to be partially or even completely flooded by sea water. If it is considered that there is a serious danger in such situations, local authorities proceed to evacuate the population from threatened areas. But sometimes such evacuations should be carried out in areas where under normal circumstances altitude is no problem. A typical example is the coast of Florida. The purpose of evacuation is to be minimized the risk of casualties during strong storms. Another very serious danger in a hurricane is the risk of flying objects. To minimize damage people living in the tropics during storms usually put on their windows wooden panels or covers of other durable materials. In this way they protect both their homes and people who might accidentally hurt by flying glass and other objects. When such a devastating hurricane hits populated area, damage can be serious. Strong winds can overturn cars or to throw boats on the beach. Some strong hurricanes are able even to throw on the coast large vessels! Gusts of wind can dislodge even entire roofs or at least to destroy them! As we mentioned above, hurricanes can be divided into 5 categories according to their strength. Around the world the power of hurricanes is calculated on a scale of Saffir – Simpson. For really dangerous according Saffir – Simpson scale are considered hurricanes by the third or higher category. During category 3 tropical cyclone wind exceeds the barrier of 178 km / h and becomes extremely dangerous. Even more dangerous are the hurricanes of the fourth category, when the wind exceeds 210 km / h. In such cases the damage could be very serious. Category 5 tropical cyclones are the most dangerous and deadly hurricanes. During such a devastating storm population must be evacuated, as hurricane practically destroys almost everything that stands in its way. Winds of over 250 km / h can destroy even more stable buildings and constrictions. Are the typhoons and cyclones stronger than hurricanes? Sometimes, but not always. The reason is very simple. In the south west Pacific there is a much larger area of warm water and this fact belongs to the awesome power of the Pacific tropical storms. On the other hand, hurricanes are considered to be much more dangerous for the simple reason that they affect more densely populated areas such as the shores of the Caribbean Sea and Gulf of Mexico. Most of the typhoons occur in extremely sparsely populated areas in the Pacific and therefore they cause less damage. 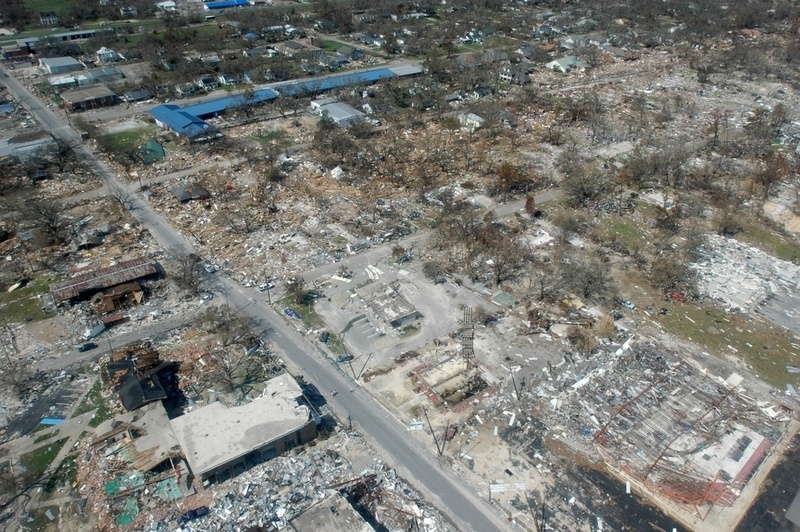 Too often major hurricanes hit densely populated areas. These are the U.S. state of Florida, the coast of the Gulf of Mexico, the south eastern coast of China and Japan. In these areas fall cities like Miami, New Orleans, Hong Kong, Tokyo and the extremely densely populated areas of southern Bangladesh. The study of hurricanes demand a huge investment of effort and money. The greatest progress has achieved by the National Hurricane Center, which is located in Miami, Florida. Modern technology allows to scientists in developed countries to follow these devastating disasters and promptly to notify and evacuate people from endangered areas. Using satellite images, scientists calculate the exact route of the storm, thus minimizing the chance of damage and victims. Very often even highly developed countries such as the United States experience serious difficulties in the elimination of damage after a powerful hurricane, because losses can reach tens of billions of dollars. Talking about hurricanes we have to note that prevention is much better and is better to invest in science in order to minimize risk in coming storm. Over the years, scientists worldwide are trying to find a way to divert or stop hurricanes, but attempts still remain without success. Hurricanes bring names that are chosen by the World Meteorological Organization and are arranged in a list. The names are selected in the order of the list, so scientists know in advance what will the next hurricane be called. Some of the most famous names of hurricanes are Andrew (August 1992nd), Ivan (September 2004th), Dennis (July 2005th), Rita (September 2005th), Wilma (October 2005th), Dean (August 2007th), Felix (September 2007), typhoon Tip (October 1979) and so on. The most powerful and devastating storm of modern history and the second strongest ever is Hurricane Katrina. 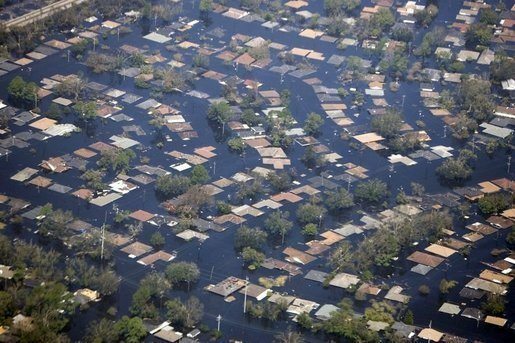 Powered by the very warm waters of the Gulf of Mexico, the fifth degree hurricane hit on the U.S. city of New Orleans, Louisiana with winds exceeding 280 km / h. With its incredible power Katrina destroyed the protection dikes and the city remained under water. Thousands of people survived on the roofs of their homes, waiting to be rescued. A little known fact is that part of New Orleans lies below sea level and this fact played a bad joke on that fatal August 29, 2005th. The storm dealt unprecedented in the history of U.S. casualties, leaving millions homeless in the area. About 3,000 people lost their lives and the emotional damage for survivors and witnesses of the disaster will never be evaluated. Another one of the terrible hurricanes that the world will never forget is the Cyclone Tracy. It hit the Australian city of Darwin on Christmas Eve of 1974th. After the Cyclone damage came to light – more than 70% of the city of Darwin were razed to the ground. In October 1979 typhoon Tip, fed by warm waters of the Pacific Ocean reached the size of super typhoon. Winds reached speed of 305 km / h, but the typhoon passed over a relatively sparsely populated part of the world. Loosing its strength, tropical storm changed its direction and headed to Japan. When it reached the shores of the Land of the Rising Sun winds fell to “only” 130 km / h.